Print depicting Isabella Glyn as Queen Katherine in Henry the Eighth. Engraved by J. Moore from a daguerreotype by Paine of Islington, published by The London Printing and Publishing Company. 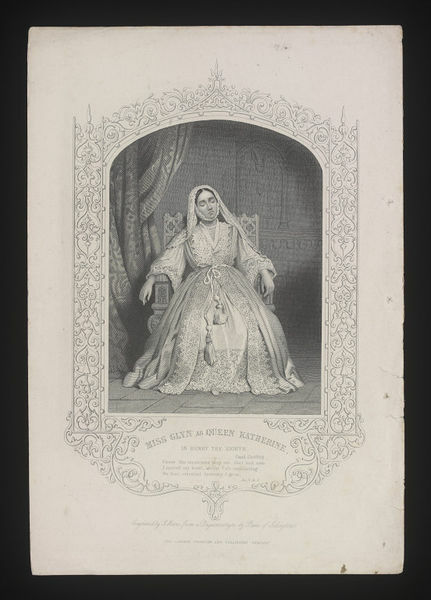 Isabella Glyn played Queen Katherine at Sadler's Wells in 1848. 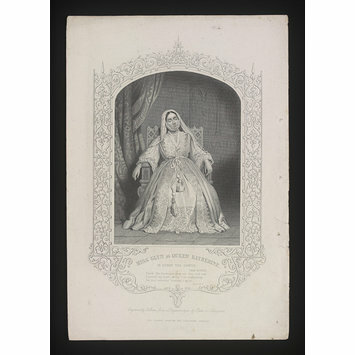 Print depicting Isabella Glyn as Queen Katherine in Henry the Eighth. Full-length figure, seated in a chair, her eyes closed.